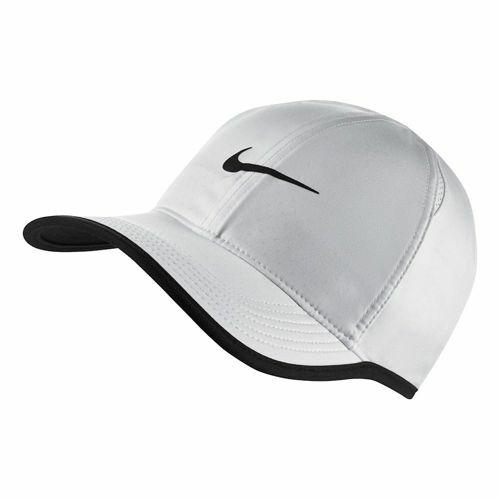 Roger Federer Hybrid Cap by Nike is a high quality product used by Roger Federer himself! Trust his experience in picking the best gear for winning matches! This cap has stylish RF logo placed in the front. Attention grabbing Nike swoosh is on the left side. Excellent fit is achieved with the help of reliable VELCRO closure. RF Cap is made for the best! Dri-FIT technology provides comfort and keeps the forehead dry. Unique material is successfully removing sweat from skin during the most intense games. Rich blue color of the cap allows to create a stylish look on the court. It's got a nice look and feel but it's 1 size only means you need a big head head for it too fit properly ,y,it's the depth of the cap where the problem is ,but if you have a large or bigger than average head you will be fine.